I feel cars that are stored inside a garage and are driven infrequently (including classic hot rods & antiques) rarely need an oil change and can go many years with oil left in the sump, especially with synthetic lubricants. The myth is “change your oil once a year, regardless of miles”. Your thoughts on this? Yes, you should change your motor oil at least once a year even if the vehicle is in storage and rarely driven. If you drive the vehicle once and then allow the vehicle to sit for a year without an oil change, you are allowing the byproducts from combustion and acids to sit, agglomerate, and possibly break down engine materials. For more information on classic car storage, check out the Hagerty Insurance website. Can you help us better understand how the selection of base stocks may impact an oil’s suitability for and impact upon direct injection engines? Often it has been noted that parameters such an NOACK and specific additive chemistries may impact valve deposits and other DI-related problems. Does a GTL lube, some of which have been shown to have very low NOACK values per the SOPUS PDSs offer superior benefit in DI engines, as compared to lubricants formulated with a bias towards use of PAO, POE or other basestocks? If so, why? Is it due to the attractive NOACK values, or are there other characteristics related to fuel dilution or other phenomena that play in? Yes, direct injection engines often run hotter than port injection engines. Thus said, choosing base oil with excellent high temperature properties provides better protection and performance. Low volatility and good oxidation stability are two key high temperature properties found in high quality base oil. NOACK is an industry test that measures volatility. Low volatility means the oil is less likely to vaporize, or evaporate, at high heat. Good oxidation stability means the oil is less like to break down when exposed to oxygen and high heat, leading to fewer deposits. Formulating the motor oil with high quality detergents and dispersants also helps reduce deposits and keep byproducts from combustion from agglomerating to form sludge. What does Complete Protection mean? Isn’t that what API licensing provides? API (American Petroleum Institute) licensing does not mean the motor oil provides complete protection. For example, motor oil that has “API SA” printed on the back of the bottle is not suitable for use in engines manufactured after 1930. The latest industry motor oil specification is API SN/ILSAC GF-5 – however, this is only the minimum industry standard and there is a lot of room for differentiation. Also, some manufacturers make recommendations outside of the API system. Pennzoil Synthetics provide complete engine protection without compromise. This means we are not compromising any area. Complete protection includes cleaner pistons, better fuel economy, horsepower protection, unsurpassed wear protection, and excellent performance in extreme temperatures. How does motor oil impact horsepower? Horsepower is the measured power output of an engine. This is based on the mechanical design of an engine and using proper motor oil helps maintain horsepower. Engine deposits or using a viscosity grade that is too thick can decrease engine efficiency. What temperatures are you referring to when referencing extreme temperature protection? Can an oil really protect at both ends of the extreme in one oil change? Yes! Pennzoil Synthetics have excellent performance in extreme temperatures. Extreme temperature performance refers to both an extremely cold day, like -40°F, and extreme hot spots inside your engine – like the turbocharger shaft or piston rings, which can reach over 400°F. Average engine operating temperature is 212°F with the combustion temperatures up to 2,500°F. Hybrid vehicles have a lot more start-stop conditions than a traditional engine. While many of the start events are likely with a good film of oil, ready pumpable lubricant, and warm engine, the nuances of cranking and the first fires at startup may have effect upon fuel dilution, cylinder wash-down, etc. What lubricants might be best suited for these kinds of operations, and why? The best suited lubricant is the one that meets the manufacturer’s recommended viscosity grade and engine oil specification. Because hybrid vehicles endure frequent stop-and-go driving, I would recommend using full synthetic motor oil. Would you consider Pennzoil Platinum to be a higher quality product than Mobil 1? To start, great videos on YouTube! I am currently using a few final quarts of Royal Purple for my passenger vehicles (TL & Accord). In the last three weeks I have purchased 50 quarts (10 – 5 quart jugs) of Pennzoil Platinum 0W-20 for the reasons you’ve outlined in your videos, such as Pennzoil Platinum’s ability to clean pistons, lubricate and just as important its ability to protect from engine wear. a. My questions are… How long is the shelf life for Pennzoil Platinum 0W20 if it is stored in my garage, knowing that it will take me 3-4 years to use this oil? Pennzoil Platinum Full Synthetic motor oils can have a shelf-life of up to four years if stored properly. b. What is your oil change interval recommendation (total miles per OCI)? Both cars are ran 50/50 highway and city driving and I live in California. Always follow the vehicle owner’s manual to determine the correct oil change interval. I think both vehicles have an oil life indicator you can follow. c.	Last question…why Pennzoil Platinum with PurePlus Technology over Mobil 1, Castrol, Royal Purple or any other premium lubrication product? Could you address operators of GDI-Turbo vehicles regarding the effects of certain additives such as calcium and their impact on LSPI (low speed pre-ignition)? There’s much discussion and concern by operators of these vehicles that Pennzoil’s additive packages are predisposed to LSPI as compared to other brands. Low speed pre-ignition (LSPI) is more a phenomenon of engine design – and as you mentioned, occurs more frequently in gasoline direct injection (GDI) turbocharged engines. It is really a phenomenon for prototype or experimental engines that are still in the Research & Development phase, and oils with high levels of calcium-based detergents can increase LSPI frequency. HOWEVER, by the time the engine is fully designed and released to the market, it must be compatible with the available motor oils in the marketplace. Thus said, there is no need for concern. Can you share some aniline points? The aniline point is the lowest temperature at which an oil product is completely miscible with aniline in a 1:1 volumetric ratio. Unfortunately, we cannot share data points for proprietary reasons. It’s not clear to me or others whether or not Pennzoil High Mileage Vehicle is a conventional or synthetic blend motor oil. Could you please confirm if it is conventional or synthetic blend? b. However, Pennzoil Platinum High Mileage (our newest offering) is a full synthetic motor oil formulated with PurePlus Technology. PPHM is currently available in 5W-20 and 5W-30 viscosity grades and is designed to deliver less oil burn off and reduce leaks/oil consumption in older vehicles as compared to other high mileage motor oils. Pennzoil Platinum High Mileage is specifically formulated for engines over 75,000 miles. Because this motor oil is designed for high mileage vehicles that have often passed the manufacturer warranty period, it does not carry as many manufacturer specifications. (A few of these specifications require expensive licensing fees.) Rest assured, Pennzoil Platinum High Mileage still provides complete engine protection without compromise – in addition to helping to reduce leaks and oil consumption in older vehicles. Most oil companies make high mileage 20W50 weights. Does Pennzoil ever plan on making a high mileage 20W50? Or even a synthetic 5/15/20W50? 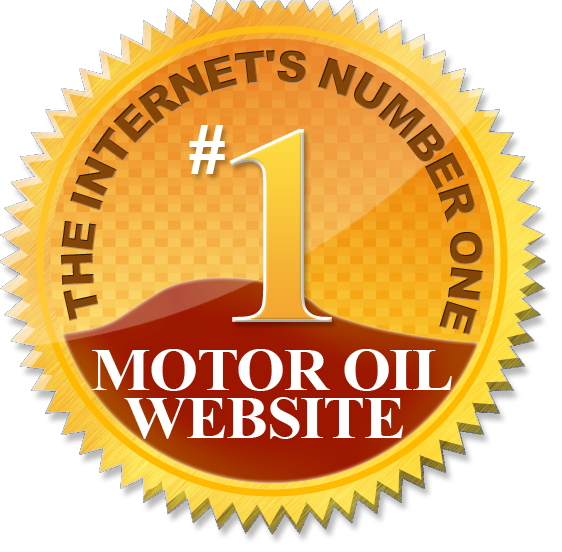 The automotive industry has been recommending lower viscosity grade motor oils over the past few years, so you will start to see lower viscosity grades offered, as opposed to higher, even in high mileage motor oils. However, Pennzoil does offer Pennzoil High Mileage Vehicle in SAE 10W-40 and Pennzoil GT Performance Racing in SAE 25W-50.